After two days of digging in a suburban Detroit field, FBI Special Agent in Charge Bob Foley called off the search of James Hoffa's, saying "We did not uncover any evidence relevant to the investigation." The FBI has called off the dig for Jimmy Hoffa in a suburban Detroit field where a tipster insisted he was buried alive. No human remains were found during three days of excavation on the one-acre parcel, officials said. "We're disappointed," said Robert Foley, head of the FBI's Detroit office. The feds were led to the site by Tony Zerilli, who claims he was told the Teamsters Boss was whacked with a shovel and then entombed beneath concrete slabs in a barn. "I know he's there," Tony Zerilli told NBC News before the search ended. "I'm not wrong." Since Hoffa vanished in 1975, authorities have searched dozens of spots for his body. Informants have claimed he was dumped at Giants Stadium, fed to the alligators in the Everglades and shipped to Japan in a compacted car. Investigators took Zerilli's claim seriously because he's alleged to be the former underboss of a Detroit crime family. Zerilli denies he was in the Mafia or involved in Hoffa's disappearance from a Detroit area restaurant. Workers did find concrete slabs on property in Oakland Township, lending Zerilli's story some credibility. But backhoes and cadaver dogs failed to unearth anything to solve one of the country's most enduring mysteries. The FBI said it deployed 40 agents for the search but did not say how much it cost. "We do not have a profit margin as a bottom line," Foley said. 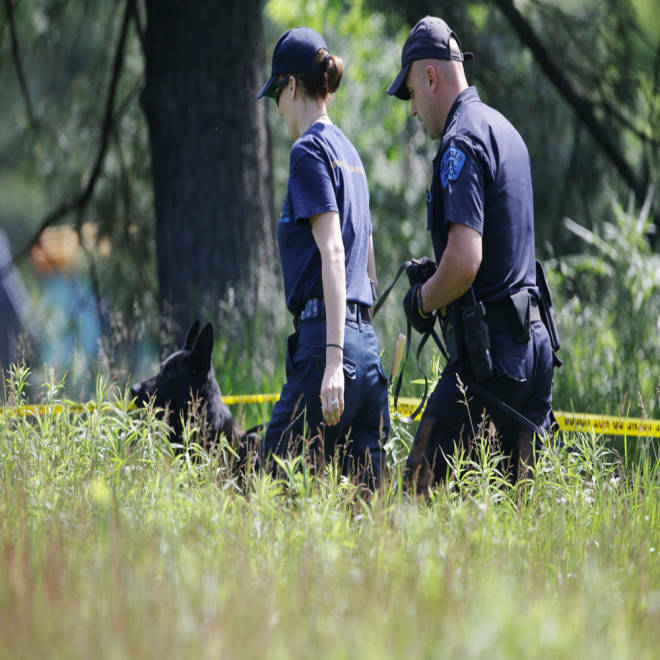 Law enforcement officials from the Michigan State Police help search the area in Oakland Township, Mich., Tuesday, June 18, 2013 where officials continue the search for the remains of Teamsters union president Jimmy Hoffa who disappeared from a Detroit-area restaurant in 1975.